It was a beautiful evening for our London-based Alumni Associates to enjoy views of St Paul’s Cathedral from Madison Restaurant London. 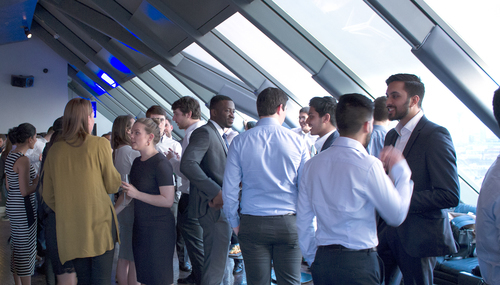 With our MThree Alumni consultant population growing so rapidly, it was fantastic for recent cohorts of Alumni in training to meet Associates who are currently on client sites across the Capital. 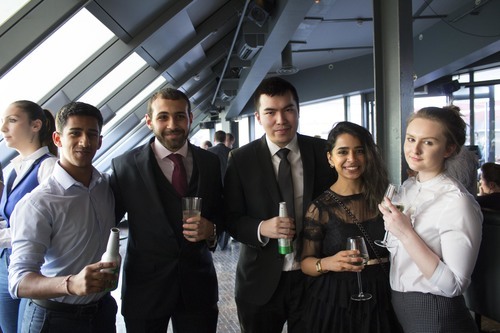 (From left to right: Ashvin Seeborun - Production Support Analyst at Deutsche Bank, Rafiq Gasmi - Python Developer at Bank of America Merrill Lynch, Manh Nguyen - Python Developer at Bank of America Merrill Lynch, Venu Jeyakumaran - Production Support Analyst at Deutsche Bank, Lauren Vanner - MThree Alumni Team).